1. Start looking before you need/want a new job. Usually people start looking long after they’ve started hating their current job. Doing so will not only affect your current performance, but will affect your attitude in your job search as well. Think about it – if you’re already hating your current job, you’re stressed, which is affecting your work performance. Then, if you go out to interview, you’re more likely to carry that stress with you and you won’t be putting your best foot forward. 2. Mind your work wear. If you work in a casual office and the place you’re interviewing at is more formal, dressing in a suit at work would look out of place. You’d most likely raise some suspicion! Instead, if the place you’re going to interview has a different dress code than your current job, head to a coffee shop (one that your coworkers don’t frequent!) and change outfits. If the dress codes don’t vary too much, dress down your interview attire at work by keeping shoes casual and stashing your dress shoes, wearing a more casual sports coat, or leaving off your jacket and tie. 3. Be careful of technology use. Don’t use company equipment! Save your search for after work or use your personal devices at lunch. Job search engines like Indeed have mobile apps that make it easy for you to check out open jobs on your phone instead of visiting the website. Sign up for email alerts from job boards and check these emails on your own device. This will hopefully take away any temptation to use your company resources. 4. Attend networking events and carry along a personal – not your company – business card. You want to hand out your personal contact information to potential employers rather than your work information. You don’t want them calling you on your work phone! 5. Watch your online activity, especially on social media. Although social media is a great way to make connections and find a new job, it also leaves you exposed to everyone else on social media. Don’t update your Twitter for Facebook statuses that indicate you’re on the job hunt. Hide your LinkedIn updates from peoples’ feeds so they don’t see that you’ve suddenly added a bunch of skills to your profile or that you’ve connected with recruiters. However, don’t shy completely away from social media. If you see a job posting come through on Twitter or find someone you want to connect with, use covert ways to show you’re interested. Start following and engaging with them on Twitter, then move to more direct messaging and emails once you’ve established a connection. 6. Wait until after you’ve completed a major project. Your focus should be on your current job for two reasons. One, you want to make sure you’re doing your best work and leave at point where you’re not playing an integral role in a project to avoid burning any bridges. Two, if your manager sees that your performance or focus is slipping, you may raise a red flag. Undoubtedly you’ll want to avoid having that awkward conversation with your manager. 7. Network over lunch. Set up informational interviews or catch up with an old colleague to talk about your job search over your lunch break. Save your PTO time for your in-person interviews; you don’t want to feel rushed in these if you schedule them over lunch, and there are only so many doctor’s appointments and kids’ recitals you can take off for before your manager becomes suspicious! 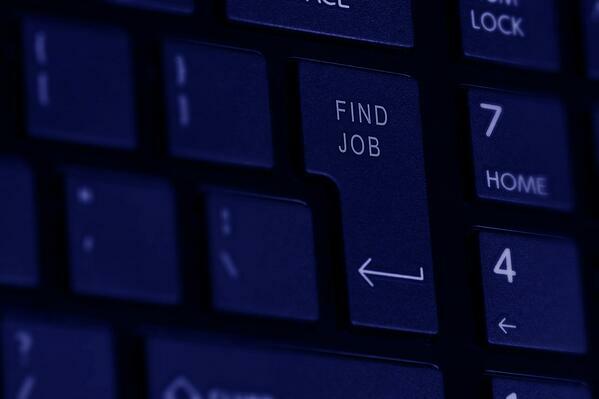 Tell us: What are some other covert ways to job search while employed?